Hot on the heels of its recent announcement of BookCon, a one-of-a-kind interactive consumer book event, ReedPOP, the world’s largest producer of pop culture events, announces a star-studded kickoff celebration to usher in the show. Exemplifying the show’s mission of giving fans an experience where books and pop culture collide, ReedPOP will host a special panel and sneak peek of the upcoming film adaptation of Jonathan Tropper’s bestselling book This Is Where I Leave You. The panel discussion will feature two of the stars of the film, Jason Bateman and Tina Fey, along with director Shawn Levy, and Tropper, who also wrote the screenplay, based on his novel. It will be followed by an exclusive Happy Hour to celebrate the debut of BookCon which will feature access to a number of top authors, giving fans the ultimate interactive experience. The limited access BookCon kickoff event will happen on the eve of BookCon on May 30 at the Special Events Hall in the Javits Center. The all-star BookCon kickoff event was created as a window into the type of events that BookCon will offer attendees. The day-long event is crafted for creative-minded, passionate book fans in the publishing capital of the world. Every aspect of the show is thoughtfully designed to appeal to the modern-day book lover with an appreciation for broader pop-culture and where these worlds intersect. By bridging the world of film and literature, the panel is a prime example of the mission for this consumer event and will usher in more exciting events and panels soon to be announced. The hour-long panel, moderated by Entertainment Weekly’s Anthony Breznican, will start at 4:00 p.m. A limited number of tickets for the BookCon kickoff event will be available for all those who purchase BookCon and BEA tickets for an additional $10. ReedPOP will also offer tickets as part of a VIP package that will include special artwork, a signed copy of This Is Where I Leave You, First Access to seating, access to BookCon on Saturday, and more. Announcement of the kickoff event follows ReedPOP’s recent news of BookCon and its lineup of feature headliners including Amy Poehler, Martin Short, John Grisham, R.L. Stine, Stan Lee, Cary Elwes, Cassandra Clare, and Maggie Stiefvater. Additional exciting details about BookCon exhibitors, talent, and sponsors will be revealed in the coming weeks. For more information and to purchase tickets, please visit www.TheBookCon.com or BookCon’s social media pages (Facebook, Twitter & Instagram). The dramatic comedy This is Where I Leave You is directed by Shawn Levy, and based on the hilarious and poignant bestselling novel by Tropper. It features a starring ensemble cast including Golden Globe winner Jason Bateman (Arrested Development); Golden Globe and Emmy Award winner Tina Fey (30 Rock); and two-time Oscar winner, multiple Golden Globe honoree and 2013 Emmy Award nominee Jane Fonda (Klute, Coming Home, HBO’s The Newsroom). Shawn Levy, who helmed the blockbuster Night at the Museum films, as well as Date Night and Real Steel, directs from a screenplay by Jonathan Tropper. The film also stars Adam Driver (HBO’s Girls), Rose Byrne (Bridesmaids, X-Men: First Class), Corey Stoll (House of Cards, Midnight in Paris), Kathryn Hahn (NBC’s Parks and Recreation). This is Where I Leave You is produced by Paula Weinstein (The Perfect Storm, HBO’s Recount) Shawn Levy, and Jeffrey Levine (The Family Man). Mary McLaglen (Real Steel, The Proposal) and Jonathan Tropper serve as executive producers. The creative filmmaking team includes director of photography Terry Stacey (Safe Haven, 50/50), production designer Ford Wheeler (Rachel Getting Married), editor Dean Zimmerman (Real Steel) and costume designer Susan Lyall (RED). The music is by Oscar-winning composer Michael Giacchino (“Up”). Be prepared for one squirrelly adventure in the action-packed comedy, The Nut Job, starring Will Arnett (Despicable Me, Ratatouille) as Surly, a mischievous squirrel on a mission to prove himself. 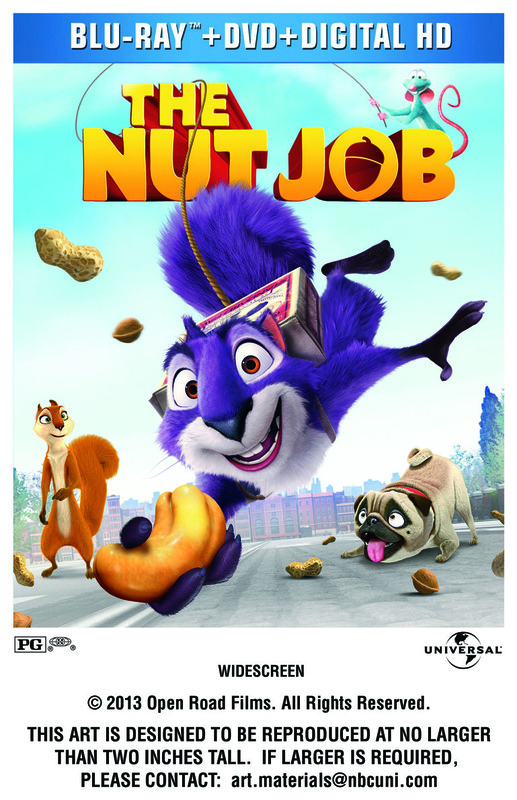 The Nut Job comes to Blu-ray 3D and Blu-ray Combo Pack including Blu-ray, DVD, & DIGITAL HD with UltraViolet as well as On Demand on April 15, from Universal Studios Home Entertainment. The film will also be available on DIGITAL HD one week early on April 8. 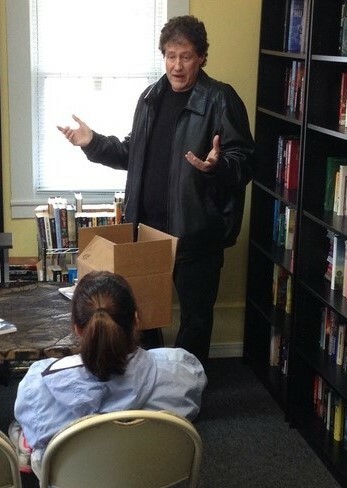 · DELETED SCENES – Check out Surly, Grayson and the gang in scenes removed from the final version of the movie. · STORYBOARDS – Watch key scenes from the film brought to life from the original sketches. · THE GREAT NUT HEIST – Will Arnett, the voice of Surly the squirrel, discusses the great caper story at the heart of the film. · DANCE-OFF END CREDITS – Surly joins his furry friends and a very special guest for this show-stopping number. o SURELY SQUIRREL – Meet Surly for the very first time in the award-winning animated short that started it all. o NUTS & ROBBERS – Surly and Grayson stumble upon a bank heist gone wrong in NUTS & ROBBERS – created by ToonBox Entertainment as a teaser for THE NUT JOB. Rating: PG for some mild action and rude humor.